J. Adam Dewar is a partner in the firm and his practice focuses on both plaintiff and defence side class actions and commercial litigation. In 2019 Adam was named a “Litigation Star” by Benchmark magazine. On the Defence side, Adam is part of the firm’s counsel team in several alleged defective goods class actions against a Fortune 500 technology company. Adam is involved in a variety of corporate commercial matters dealing with oppression, derivative actions, regulatory matters and employment issues. 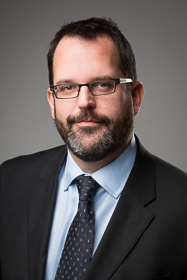 As a result of his activities in various aspects of litigation, Adam has appeared as counsel at all levels of court in Ontario. Adam has written articles for a number of publications on a variety of class action, evidence and commercial litigation topics. "Some Basis In Fact" Federated Press Commercial Litigation Journal 2009, Vol XIII, No. 3. J. Adam Dewar and Alexandra Carr, "The Enforceability of Mandatory Arbitration Clauses in Class Proceedings in Ontario", (2010) Federated Press, Commercial Litigation Section, Vol. XIII, No. 4, 734-736.